Hard on the heels of our story about Keysave, a Belgium-based company that will scan your keys and upload 3D files to a secure server so you can access and print anytime you need, comes an even better idea. 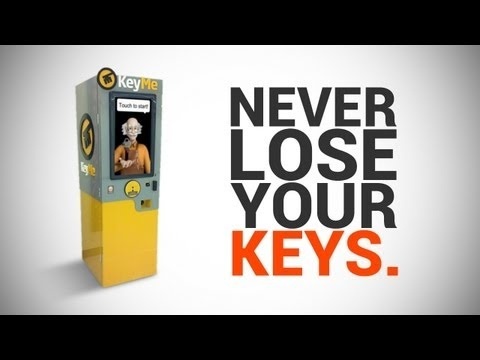 KeyMe, a kiosk located in 7-Eleven in New York City, invites anyone to save a key in digital form that is accessible anytime. Here's how it works: Place the key you want to save in the kiosk, which then scans it and creates a digital 3D file. Create a private account using your fingerprint on the kiosk's biometric scanner. Then, if you ever lose your key and need a replacement, simply head to the nearest 7-Eleven (it doesn't even have to be the same one you originally scanned from) and have a new key made for about $20. Genius.